Xiaomi has launched Redmi Note 3 in India today, this is the second market after China where Xiaomi launched this phone. The Redmi Note 3 is priced at ?9,999 and will be available exclusively through Amazon.in and Mi.com in India. The Indian variant comes with the Qualcomm Snapdragon chip inside, the Chinese version was announced with the MediaTek processor. Redmi Note 3 is the third device in the Note series after Note and Note Prime, according to Xiaomi’s Hugo Barra Prime was a huge success and they are expecting that Note 3 will also be a huge success. This ?10000 price point has lot of action these days and attracts lot of interest among consumers. 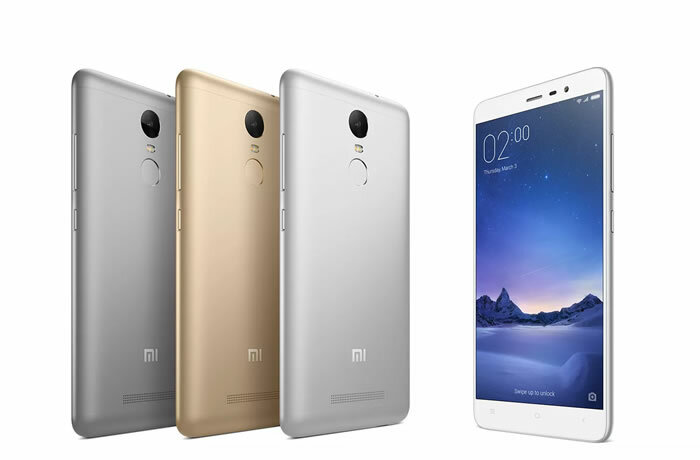 Redmi Note 3 comes with a 5.5-inch full HD display and will be available in two variants. One with 2GB RAM and 16GB ROM available at ?9999 and another with 3GB RAM and 32GB ROM available at ?11999. According to Xiaomi the display adjusts to the light it has color color temperature adjustment, turning on Reading Mode at night will reduce the blue light emission. Apart from the RAM and ROM other specifications are same in two variants. It is powered by a Qualcomm Snapdragon 650 processor along with Adreno 510, the Snapdragon 650 is first for India. It packs a high capacity battery at 4050mAh under the hood. It comes with a fingerprint sensor at the back for quick unlocking and for security, Xiaomi claims 0.3s unlocking through the fingerprint sensor. On the imaging front it packs a 5 element 16MP lens at the rear and a 5MP front camera, features include two-tone flash, auto detects room color temperature, HDR, Panorama, Scene mode etc. It supports both FDD-LTE and TD-LTE, it supports all the Indian bands for 4G and also supports VoLTE, that means you can use it for Reliance Jio network when it launches. Other connectivity options include Bluetooth 4.1, Dual-band Wi-Fi, Wi-Fi Direct, GPS, Glonass. Redmi Note 3 will be exclusively through Amazon.in and Mi.com initially and later will also be available from Flipkart, Snapdeal and offline stores. The availability will start from March 9th 2PM onwards, you might need to register to get the device as Mi is planning for flash sales.